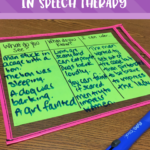 Are you looking to incorporate more storybooks in speech but don’t know where to start with the older speech students? 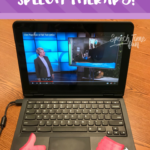 Storybooks are not just for your younger students. Your older students need to be exposed to reading materials too. 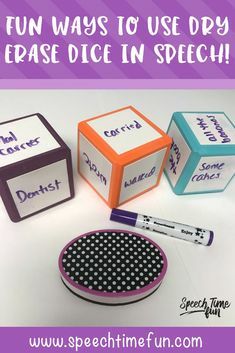 Why not bring in ones that are motivating and can be used to target your tricky speech concepts/goals?! 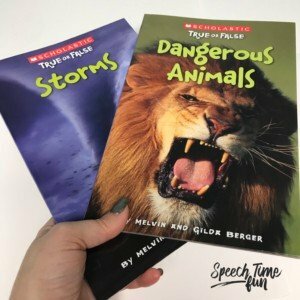 I will share with you some of my favorite books to use in my speech room and how I use them. Disclaimer: this post contains Amazon Affiliate links. I love using these books! They are written by real people such as real teenagers and contain stories they can relate to! 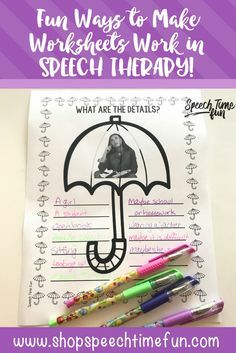 In the preteen book, it contains stories about feeling nervous performing in a school concert, friends moving away, and other relatable stories. 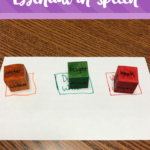 You can either read the stories individually out loud to your students or make copies for them to follow along. What goals can you address: summarization/sequencing, context clues, main idea, character traits, cause/effect, problem/solution, and so much more! This book looks like a regular children’s storybook but it is a great one for your older ones. 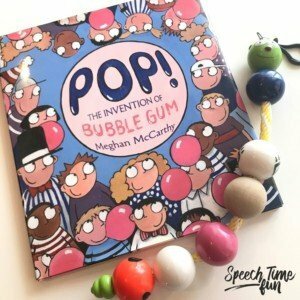 It is a great story about the history of bubble gum. Students love gum! Relatable?! 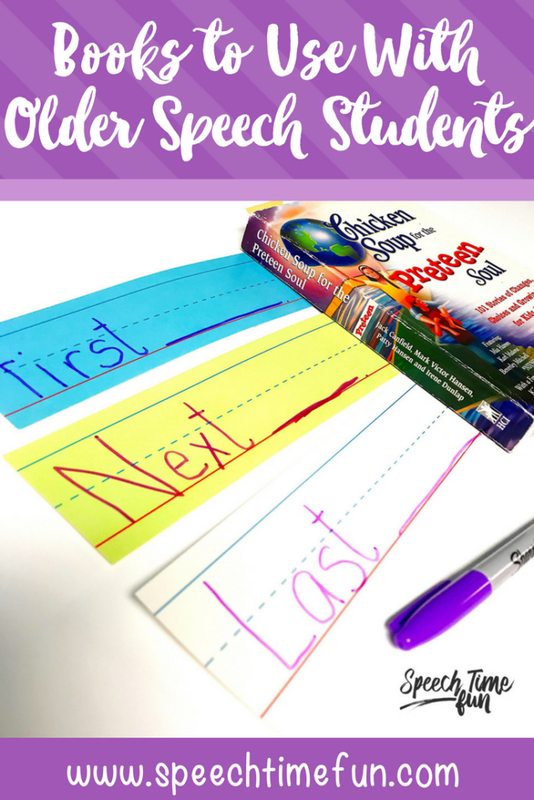 It makes a nonfiction story fun and motivating. What goals can you address: summarization, describing, problem/solution, character traits, identifying significant details, vocabulary, and more! 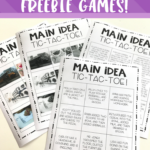 You can even let your students chew on some bubble gum after as a reward! This book is all about why and how things occur. 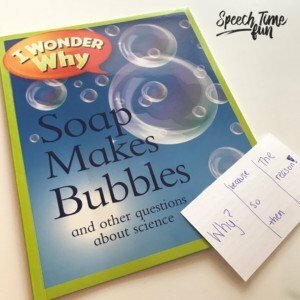 This book provides a fun way to talk about science of common items in your everyday life. Some questions that are answered: Why do we need air? Why are water droplets round? Why does the spoon get hot when I stir my hot cocoa? 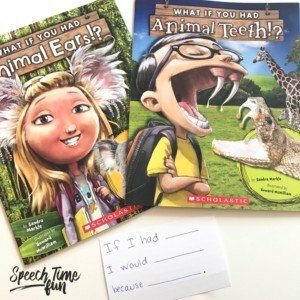 This book is great for working on summarizing, building vocabulary, and answering why questions. There are other versions of this book in the series. These books are great for working on describing, summarizing, and compare/contrast. You can have a debate and make predictions. Who do you think would win…a killer whale or a great white shark? 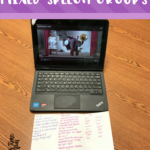 This is another great series for working on describing, summarizing, compare/contrast, and predicting. You can start nice debates too with this book. Each page prompts you with a true/false question related to the topic of the book (i.e. dangerous animals) and students can guess what the answer will be on the next page. They will also learn fun facts! These books elicit so much conversation! Students can describe, problem solve, ask and answer questions and have fun being imaginative. 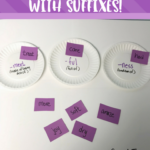 These books are great for working on complex sentence structures, answering questions, and compare/contrast. 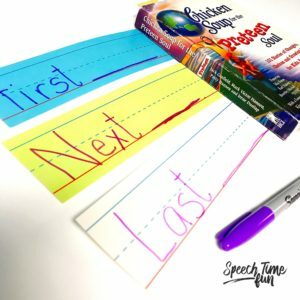 There are so many other books that can be used with your older ones that can keep them engaged and motivated. These are just a few of my favorites that seem to be working! Did I miss any? Feel free to leave a comment and share your favorites!